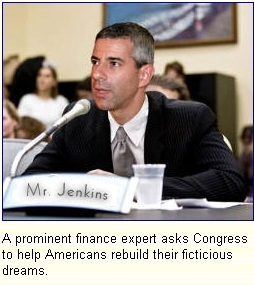 WASHINGTON – A panel of top business leaders testified before Congress about the worsening recession Monday, demanding the government provide Americans with a new irresponsible and largely illusory economic bubble in which to invest. Congress is currently considering an emergency economic-stimulus measure, tentatively called the Bubble Act, which would order the Federal Reserve to begin encouraging massive private investment in some fantastical financial scheme in order to get the nation’s false economy back on track. 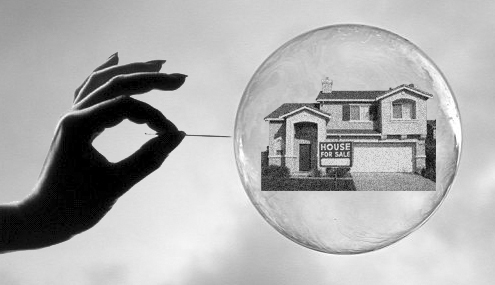 Demand for a new investment bubble began months ago, when the subprime mortgage bubble burst and left the business world without a suitable source of pretend income. But as more and more time has passed with no substitute bubble forthcoming, investors have begun to fear that the worst-case scenario – an outcome known among economists as “real-world repercussions” – may be inevitable. 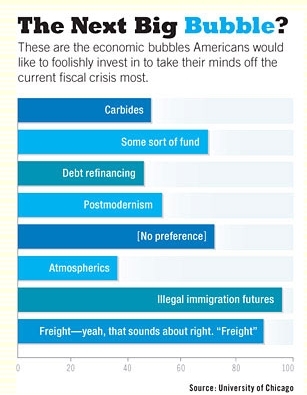 Despite the overwhelming support for a new bubble among investors, some in Washington are critical of the idea, calling continued reliance on bubble-based economics a mistake. Regardless of the outcome of this week’s congressional hearings, however, one thing will remain certain: The calls for a new bubble are only going to get louder.